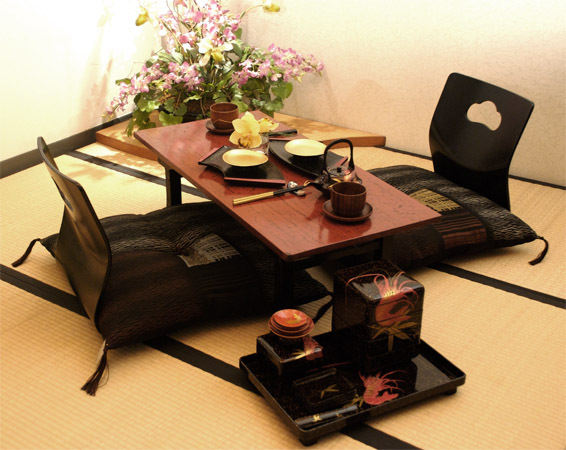 2 Kimono fabric Zabuton cushions with Zaisu chairs on Tatami mats. 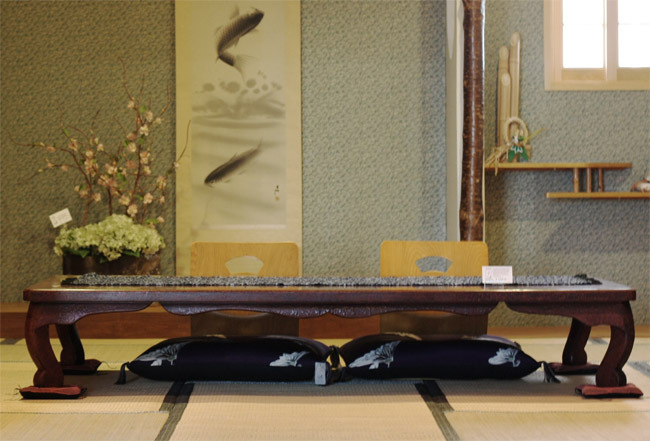 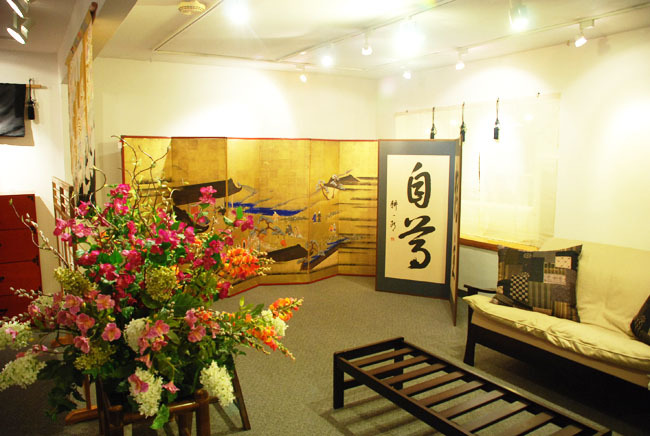 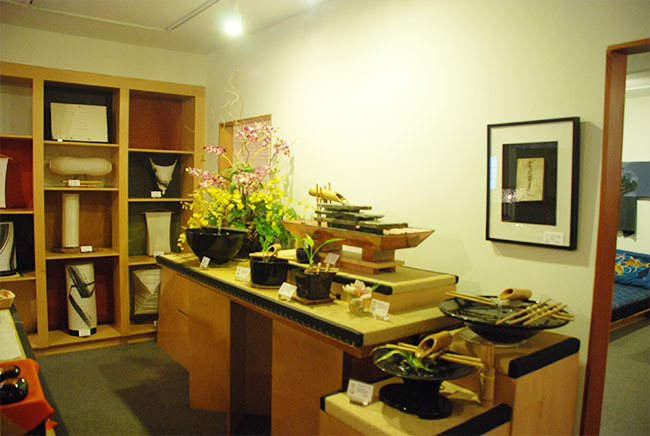 Our traditional tatami room complete with tokonoma, kakejiku scroll, floral arrangement, and low dining table. 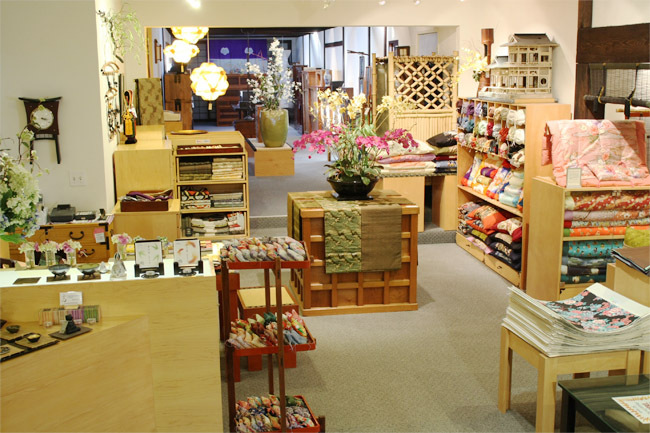 Many of our smaller items such as incense, sachets, obi, pillows are on display. 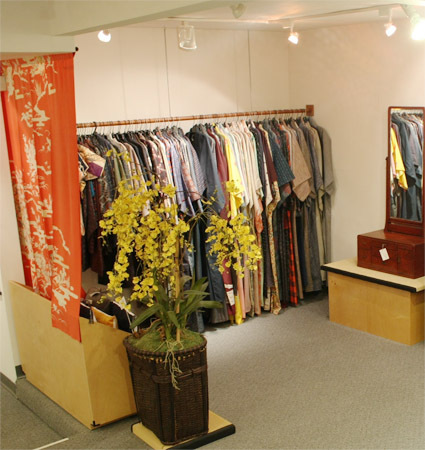 Our collection of vintage Kimono and Haori. 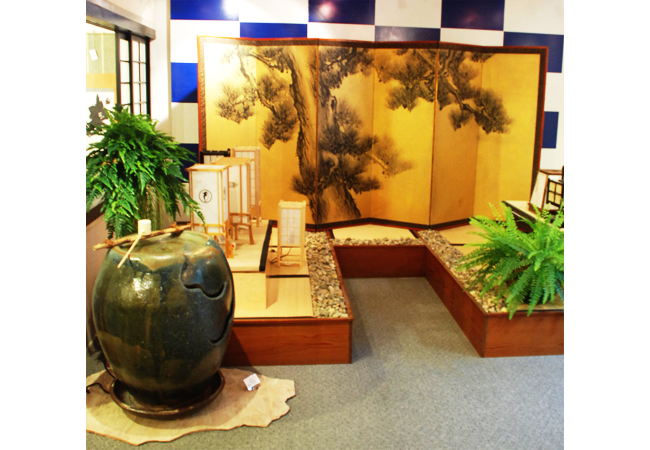 Occasionally, we find some beautiful vases, antique boxes, or dolls for our table top display. 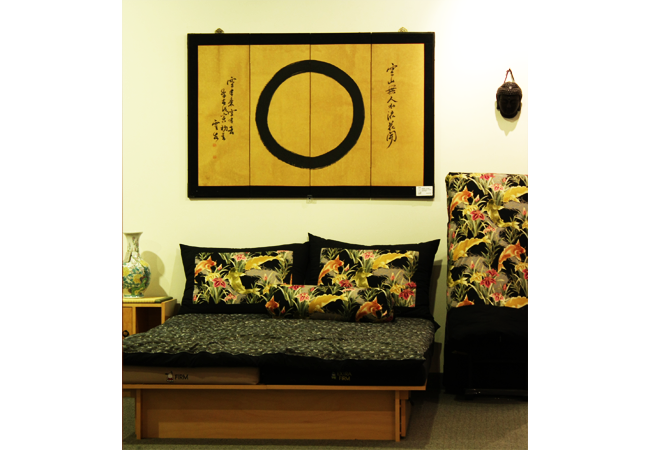 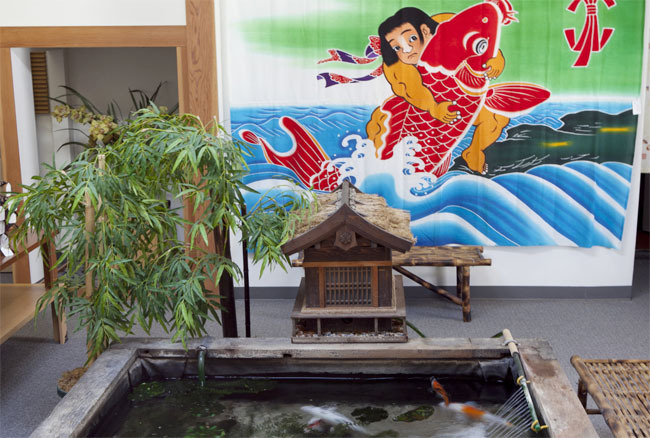 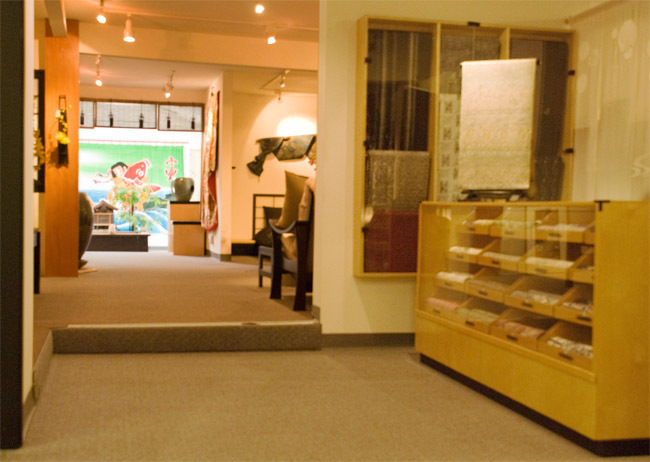 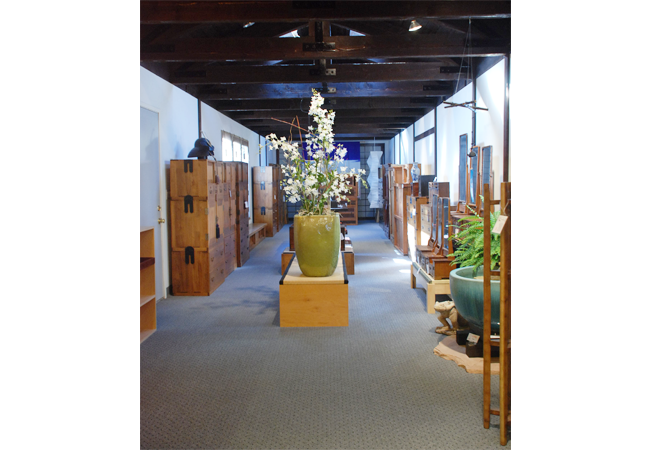 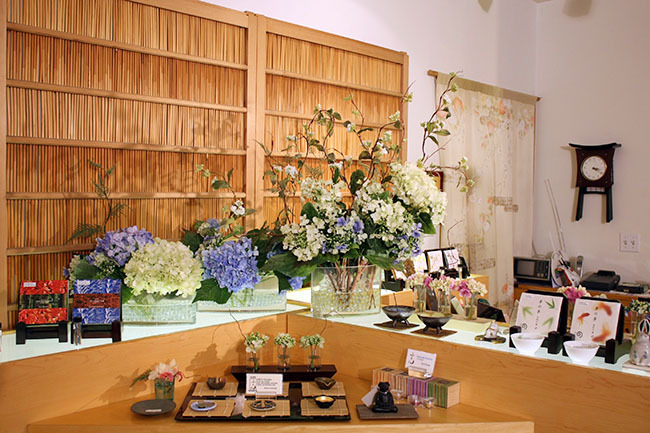 Right inside our front door, you will find 3 futon displays and our tatami room. 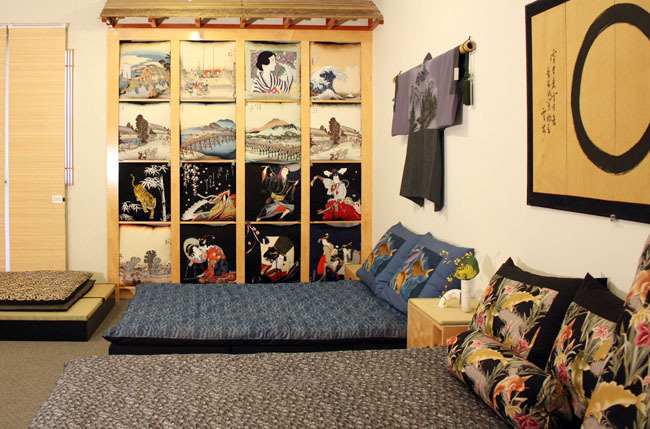 This is a quick glimpse of our very special Kimono fabrics.